Though the band received little attention in the US during much of the Eighties, Queen remained hugely popular elsewhere in the world. That fact became abundantly clear on April 20, 1992, when the surviving members of the group staged a tribute concert to honor Freddie Mercury, the singer who died less than half a year previously. The show brought out many notable acts to play, but they did so in an unusual manner. Rather than perform on their own, they worked with backup from the remaining members of Queen: guitarist Brian May, drummer Roger Taylor, and bassist John Deacon. The guests then trotted onstage and did their stuff along with Queen. If you just watch this DVD, you might think that the show started with the performance of �Tie Your Mother Down� that features Def Leppard�s Joe Elliott on vocals and Guns �n Roses� Slash on guitar. However, the concert actually provided some solo acts before the Queen portion began. Essentially a collection of big-name warm-up bands, this portion of the show included acts whose members later participated in the formal Queen segment. Of these bands, G&R and Metallica offered the most prominent. I don�t know why none of this material appears on the DVD, but I�d guess it relates to rights issues. Nonetheless, the omission of the footage seems disappointing, as some decent performances appeared during the �warm-up� segment. As one might expect, the Queen concert provides an erratic collection of renditions. For the most part, Mercury gets the crummier performances out of the way early. Unsurprisingly, Mercury starts with some of the less famous musicians and builds from there. I never heard of Zucchero before I got this set, and I never want to hear him again based on his miserable rendition of �Las Palabras De Amor�. Otherwise, none of the early songs really seems terrible, but most fail to stand out from the crowd. To my surprise, I rather like the performance of �Hammer to Fall� by Extreme�s Gary Cherone. 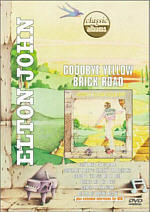 With all his physical posturing and hip-swiveling, he offers an obnoxious presence, but vocally, he delivers the goods. After that, Mott the Hoople�s Ian Hunter comes out for �All the Young Dudes�; for this Bowie-penned number, David plays sax. Bowie then finishes with ��Heroes��. Former Bowie guitarist Mick Ronson performs on the last two numbers; while the two collaborated again in the studio prior to Ronson�s death in 1993, I think this offers their last pairing on stage. The Bowie segment seems unusual in that it provides the only departure from the Queen repertoire. 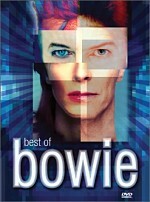 While �Under Pressure� was formally a Queen track � technically, Bowie was considered a guest on it � the other two offer no connection to the band. However, they fit thematically for the concert. Other than these two tracks, the only time a performer echoes his or her own career comes during the intro to Robert Plant�s rendition of �Crazy Little Thing Called Love�; he does a few lines of Led Zep�s �Kashmir�. As I noted, I pursued Mercury for the Bowie material, but that doesn�t mean I don�t enjoy other parts of the show. I never could stand �Radio Ga-Ga�, and it remains a pretty lame song in the hands of Paul Young. However, when I see tens of thousands of hands clap in unison for the song�s rhythmic counterpoints, I find it hard not to feel impressed. The Brits in attendance at Wembley that day did their country proud. They provided one of the most responsive crowds I�ve ever seen, and their knowledge of the Queen material seems amazingly comprehensive. Stadium crowds usually suffer from �lowest common denominator� syndrome, but not this one. Another weak song, �Who Wants to Live Forever� obviously seems predictable for the setting. However, Seal offers a pretty stirring rendition of it, and it also becomes quite effective. George Michael provides a very rousing take on �Somebody to Love�, and though the combination of Elton John and Axl Rose still sounds odd, their version of �Bohemian Rhapsody� works well. In fact, it rocked so hard that I couldn�t help myself and I indulged in some Wayne and Garth style head-banging when the opera segment ended. Despite the weird ending and a few other missteps, The Freddie Mercury Tribute Concert generally provides a satisfying experience. It packs many big names into a show organized for a good cause, and it moves at a nice pace. The concept seems solid, and the execution works well. You won�t like the entire piece, but you�ll probably find enough to make you happy. The Freddie Mercury Tribute Concert appears in an aspect ratio of 1.78:1 on this single-sided, double-layered DVD; the image has been enhanced for 16X9 televisions. Normally I�d applaud this decision, but not in the case of Mercury. I compared the DVD�s picture with that of my old laserdisc and noticed that the latter�s fullframe image displayed significantly more information on the top and bottom of the screen. Unlike a film shot open matte, I don�t think that Mercury was filmed fullframe but intended to be shown 1.78:1. Instead, I think that the DVD�s producers decided they wanted it to be anamorphic so they simply cropped the original 1.33:1 dimensions. The framing looked off throughout the show, as it definitely looked cramped at times. If I�m wrong and Mercury was also intended for 1.78:1 framing, I hope someone corrects me, but I�ll feel surprised if this was the case. Even if I subtract the cropped nature of the production from the equation, Mercury still displayed a number of visual flaws. Sharpness seemed erratic. Close-ups tended to look fine, but once the image went farther out, the picture tended to turn soft. Medium to wide shots looked fairly indistinct, though not terribly so. In any case, the program generally offered mediocre definition. Jagged edges and moir� effects created no concerns, but edge enhancement caused significant issues. I noticed moderate halos at times, and this factor seemed to contribute to the program�s general softness. Colors also came across as erratic. When songs featured clean lights, hues from onstage elements like clothes looked quite good. Unfortunately, colored lighting became problematic and runny. Those tones tended to appear heavy and murky. Black levels mostly appeared nicely deep and rich, but shadow detail faltered. Low-light sequences were somewhat opaque and lightly impenetrable. Ultimately, despite all of these concerns, Mercury generally looked acceptable for a decade-old videotaped concert presentation, but it still disappointed me. 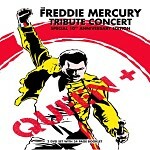 In an unusual move, The Freddie Mercury Tribute Concert includes no Dolby audio of any sort. We get a PCM stereo mix along with a DTS 5.1 track. In a situation like this, it�s my policy to regard the 5.1 version as the �main� one, but that doesn�t mean it�ll be superior, and in this case, the stereo edition clearly wins. Frankly, the DTS track sounded pretty weak. As one might expect, the soundfield remained oriented toward the front speakers, but the audio producers poured on excessive reverb, apparently in an attempt to give it that �stadium feel�. The instruments displayed some stereo separation, but the track appeared fairly mushy, as I failed to notice distinct delineation of the different elements. Surround usage just echoed the front speakers and didn�t really feel like a concert setting. This overuse of reverb simply made the music sound distant and thin. Highs seemed tinny and meek, and those elements lacked any bite or kick. Vocals showed a hollow quality that made them small. Bass response was reasonably loud but seemed muddy and indistinct. Low-end didn�t present good presence or depth. On the other hand, the stereo track seemed decidedly preferable to the DTS version, though it still wasn�t anything special. Stereo separation remained somewhat fuzzy and indistinct, as instrumental placement appeared a bit loose and erratic. Vocals benefited most from the loss of excessive reverb. During the stereo mix, these elements sounded significantly clearer and more natural. The audio still displayed too much midrange, with highs that appeared a little shrill and harsh at times. Bass response appeared about the same as in the DTS track; low-end material was reasonably deep and prominent but lacked to kick and pop I�d expect. Again, the stereo mix didn�t blow away the DTS one, but the simple fact that it eliminated all that distracting reverb made it much more listenable. Unlike many concert presentations, The Freddie Mercury Tribute Concert contains a bunch of supplements. Most appear on DVD Two, but the first disc tosses in a few. Three times during the show, a little �i� icon appears in the lower right-hand corner of the screen. Hit �enter� and you�ll go to a branching feature that allows you to check out some rehearsal footage. This works for the following tracks: �Under Pressure� (three minutes, 58 seconds); �Days of Our Lives� (3:26), and �Somebody to Love� (4:52). This doesn�t seem like a substantial extra, but it offers a nice little bonus look behind the scenes. 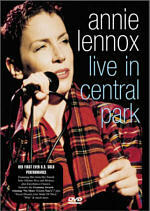 On DVD Two, the main component offers a 1992 documentary about the concert. This begins with a 2002 statement from Queen drummer Roger Taylor. The 56-minute and 20-second program itself combines shots from the show and rehearsals, Freddie clips, and interviews. We hear from Queen�s Taylor and Brian May, Roger Daltrey, Robert Plant, Seal, guitarists Slash and Tony Iommi, Paul Young, Lisa Stansfield, David Bowie, Annie Lennox, ex-Manfred Mann�s Earth Band Chris Thompson, producer Mike Moran, Extreme�s Nuno Bettencourt and Gary Cherone, Liza Minnelli, Queen tour manager Gerry Stickells, Spike Edney, Ian Hunter, Mick Ronson, Zucchero, Def Leppard�s Rick Allen and Joe Elliott, George Michael, Elton John and Axl Rose. I�m not sure where this documentary originally aired, but it offers a generally bland affair that mostly communicates what an important event the concert was. We hear a lot about the cause of AIDS awareness as well as much praise for Freddie. Occasionally we get some good images from the rehearsals or backstage, and a little useful information appears, such as May�s remarks about how they chose �I Want It All� for Daltrey to sing. However, the program really feels like a promotional affair, and it doesn�t add a whole lot to the experience. The documentary includes one example of the branching feature seen during the main program. You�ll see the same �i� icon; click it and you�ll get to watch the uncut clip of Elizabeth Taylor�s address about AIDS. It lasts four minutes, 39 seconds. In the section entitled Freddie, we find six video segments that ran during the concert while the crew changed things for the next act. These appear with the option of either stereo or DTS 5.1 audio, and they offer a nice look at the pieces produced for the show. We see snippets of these during the main program, but this lets us inspect them more closely. Two smaller areas complete DVD Two. Photos splits into two areas: �Fans Photos� and �Official Photos�. Both offer filmed presentations accompanied by music. �Fans� runs 110 seconds and comes alongside �Somebody to Love�, while �Official� lasts 70 seconds and plays with �The Show Must Go On�. Both sections feature some decent shots, but none of them seem terrific. Facts also divides into two domains. �Mercury Phoenix Trust� runs 10 screens as it details the work done by that organization. �Queen Online.com� gives us five screens that essentially just advertise the website. Lastly, Mercury includes a 24-page booklet. This provides photos related to the event plus some of Freddie. It also features a little text and the song listing for the concert. A memorable occasion for all involved, The Freddie Mercury Tribute Concert offered a good remembrance for a popular singer. More than a decade after it occurred, the video provides a fairly solid representation of the event, and it continues to demonstrate a pretty positive collection of performances. Unfortunately, the DVD seems problematic, as it presents moderately flawed picture and sound plus a fairly mediocre collection of extras. I like the music enough to recommend Mercury for those with a strong interest in the material, but otherwise I can�t advise less invested fans to give it a look.